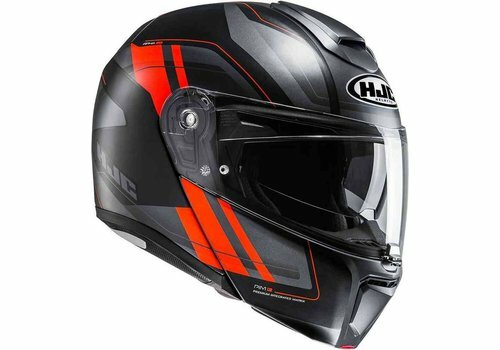 Buy your HJC RPHA-90 Helmet at Champion Helmets and get: ✓Best price ✓Free shipping ✓5% Cashback on your Order Value ✓Super Fast delivery ✓Order now! 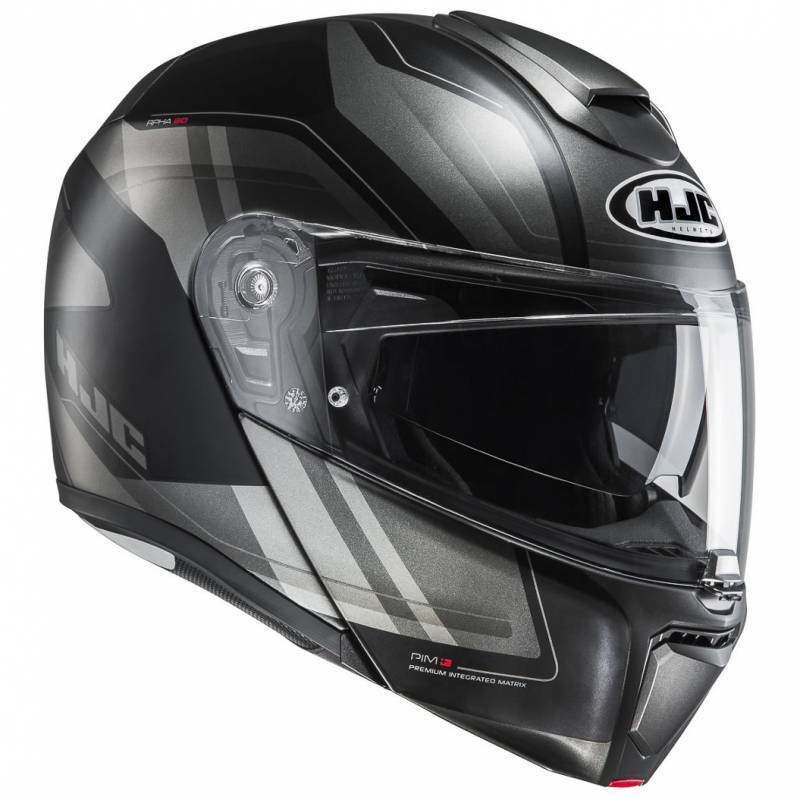 The HJC RPHA-90 is the successor to the successful HJC MAX Evo that has won several tests. 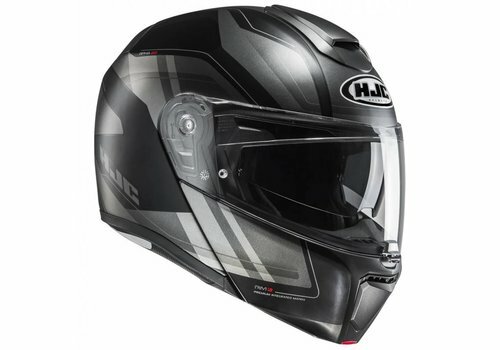 The HJC RPHA-90 is a top modular helmet that offers maximum safety and optimal comfort. 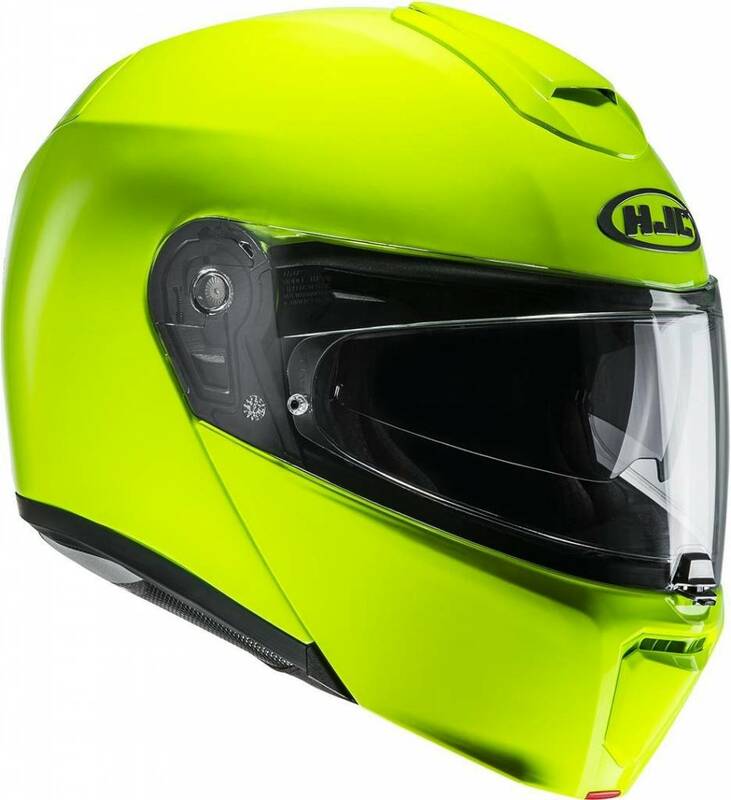 It is one of the most compact modular helmets in the world. 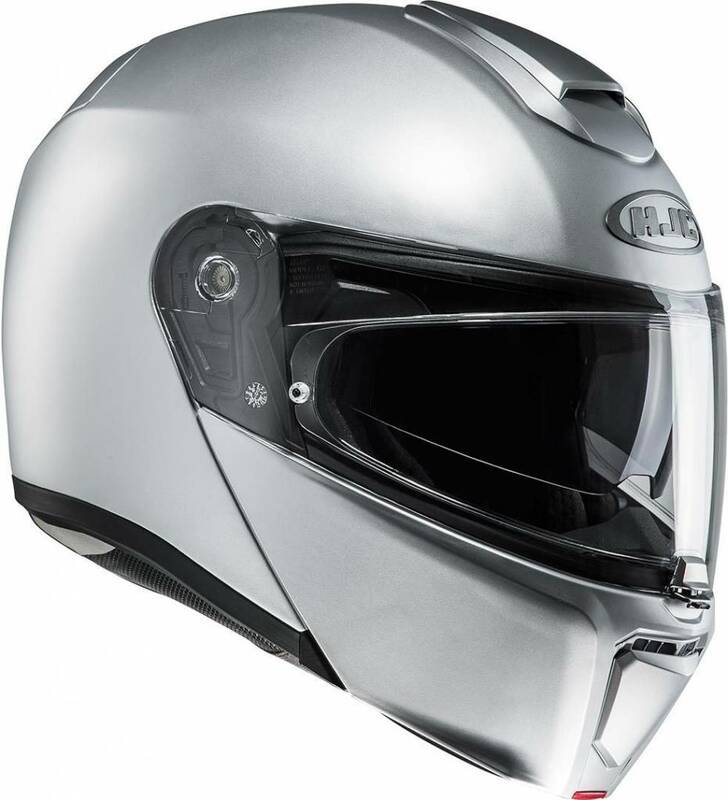 The helmet has a helmet shell made of the super strong lightweight material P.I.M. Plus. An improvement on its predecessor is the Multicool 3D inner lining that reduces noise and has a super comfortable touch. 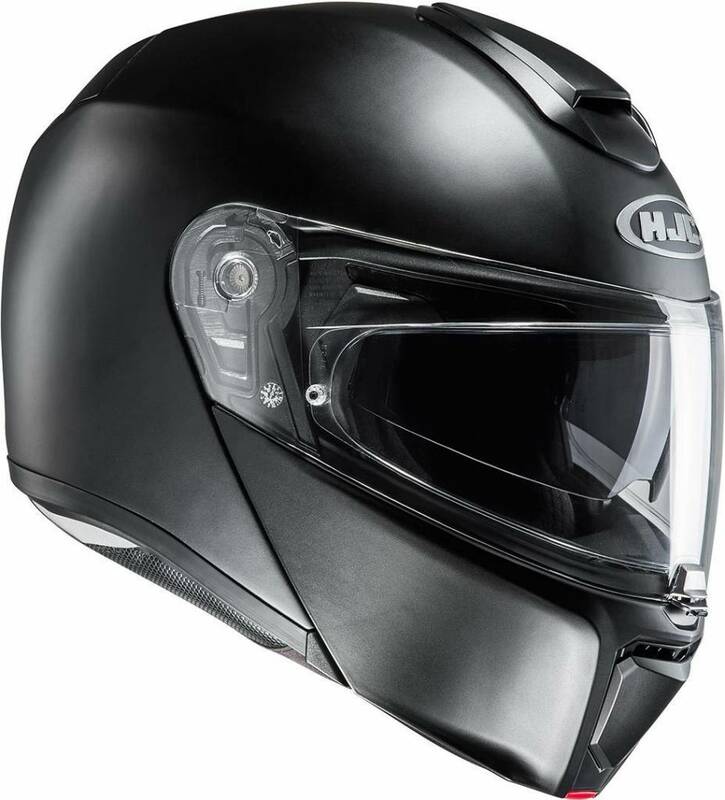 The helmet is suitable for people wearing glasses and is prepared for a communication system. 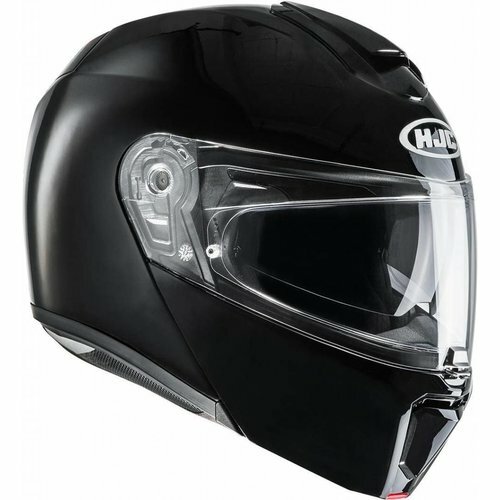 The helmet has an internal sun visor over the entire field of view. The ventilation openings are lockable, which in turn contributes to noise reduction. 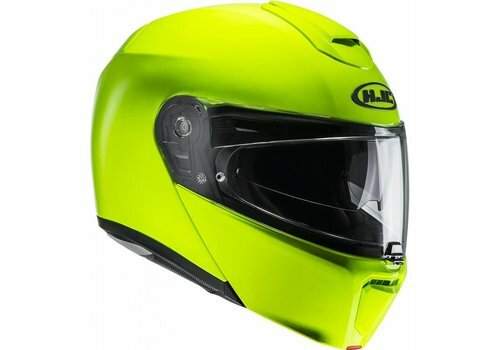 The counterparts of the HJC RPHA-90 are the Shoei Neotec II, Schuberth C4 and the Shark Evo One 2. 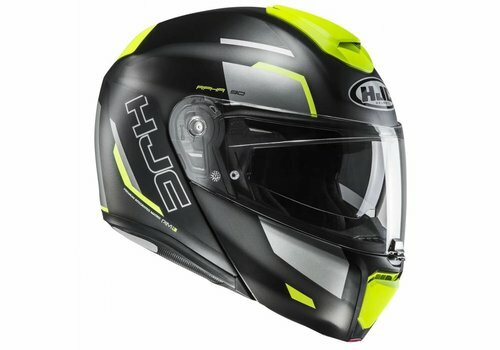 The RPHA90 is probably the helmet with the best price-quality ratio today. 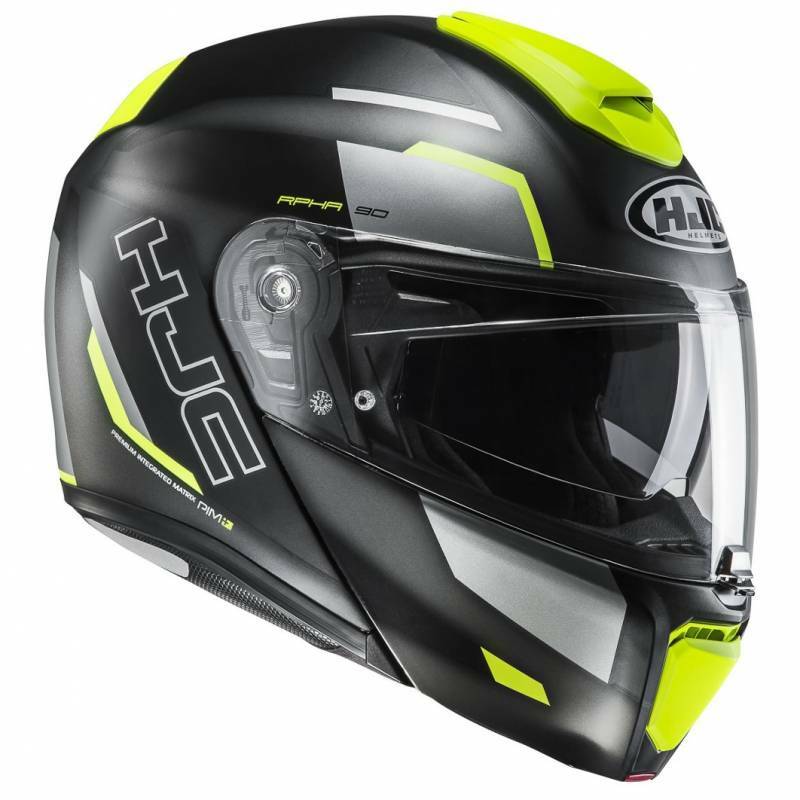 You get a lot of extras for this price point, but we have to mention that the RPHA-90 has a long way to go against the Schuberth C4 and Shoei Neotec II in the fields of ventilation and sound insulation. The helmet shell is made of P.I.M. Plus, as mentioned above. This stands for Premium Integrated Matrix. This technology uses a combination of carbon, aramid and fiberglass. This results in a super strong, lightweight shell. The internal sun visor contributes to an excellent view on a sunny day. The improved quick fastener was made of plastic and is now made of stainless steel. 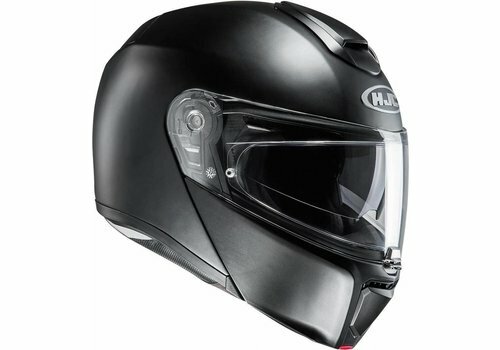 The HJC RPHA90 has 2 air intakes. One on the chin part and one on the upper part of the helmet. There is an operable exhaust on the back of the helmet. The air inlets are both lockable and glove-friendly. 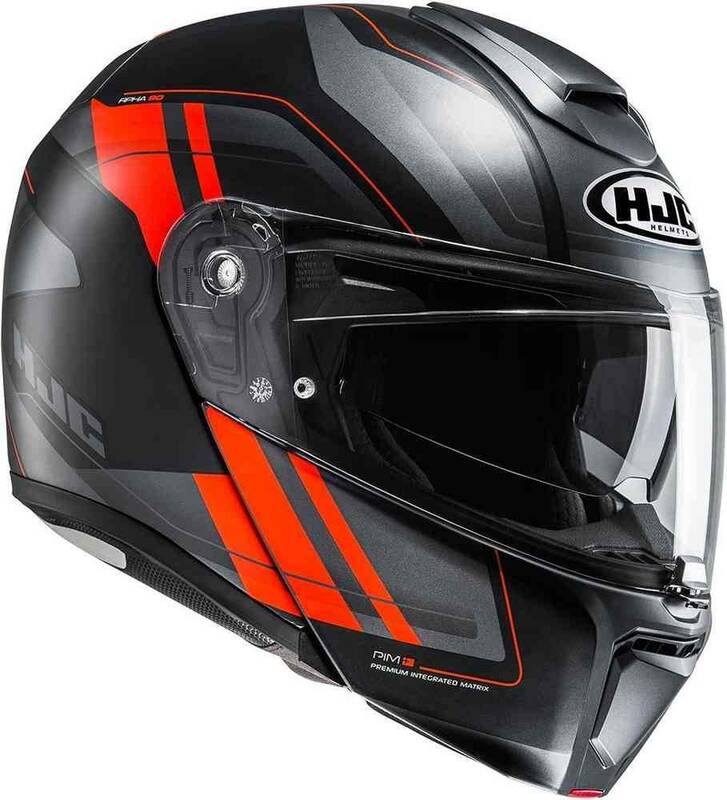 The cool air enters through the air inlets, then circulates through the helmet into the internal air ducts and is discharged as warm air through the exhaust. The biggest helmet brand in the world has further developed this helmet in their own wind tunnel. The improved aerodynamics, compact dimensions and lockable air inlets ensure less noise pollution. The improved 3D lining contributes to noise reduction. The visor of the RHA90 is the HJ-29. The extra wide field of vision of the visor offers an excellent overview. The helmet has an internal sun visor. The Max vision pinlock visor reduces condensation. The Rapidfire visor mechanism makes it possible to replace the visor without tools. The Multicool 3D liner is a big improvement on its predecessor. It is removable, washable, anti-bacterial, breathable and has a special spectacle channel. This material absorbs moisture very well and dries much faster than the previous lining. It feels fresh and very comfortable. Furthermore, the helmet is prepared for a communication system. 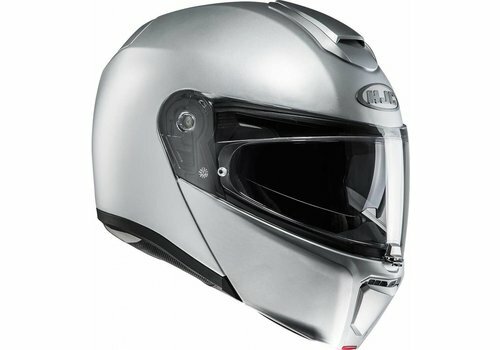 Visor: Max Vision, anti-fog and anti-scratch visor and there is an internal sun visor as well.